Get canning with your family this summer! 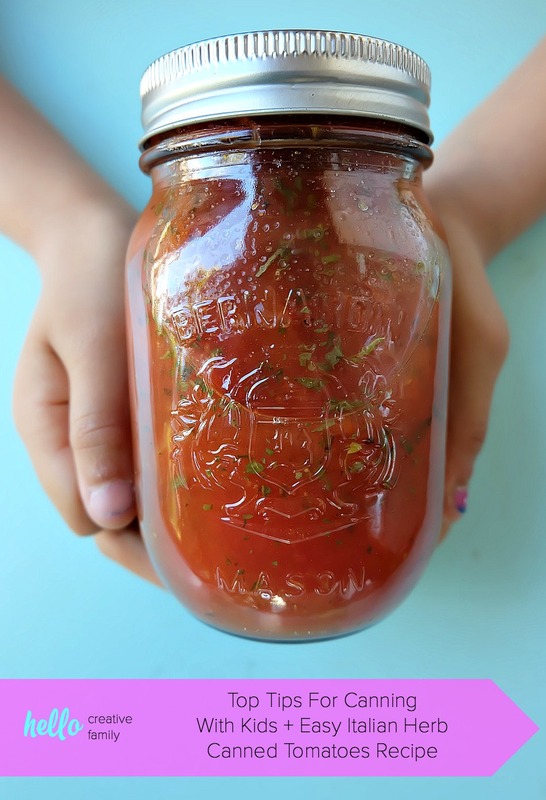 We’re sharing our top tips for canning with kids along with step by step photos and instructions for how to make our Easy Italian Herb Canned Tomatoes Recipe! Together with Bernardin we’re taking all the intimidation out of canning so you can pass this handmade art along to your kids! My daughter was 6 years old the summer that she helped me can for the first time. The summer before, my husband and I had canned 40 pounds of tomatoes to get us through the fall and winter. We ran out by January and I was anxious to can even more that summer. I went to our local farm and bought two, thirty pound boxes of tomatoes. I loaded them into the back of my car, got in the drivers seat, put the keys in the ignition and thought to myself “What did I just do?!?! ?” My husband was out of town for work for 6 weeks, I had a 3 year old and a 6 year old who were on summer break from daycare and school, and I had just purchased 60 pounds of tomatoes that were at their peek ripeness and needed to be canned that weekend. Was I crazy??? She still talks about that first summer that the two of us canned 60 pounds of tomatoes in 1 day, three years after we did it! Each year when she helps me can she takes on more and more responsibility and helps with more of the steps. I’m sure by the time she’s a teenager she’ll be able to can start to finish all by herself! I learned many kitchen skills from my mom, helping her in our family kitchen while I was growing up. Canning was not one of those skills. In fact it was only 4 years ago after taking a free workshop with Bernardin that I became a serious canner. The teacher from Bernardin took all those scary “myths” that I had heard about canning and threw them right out the window. She helped me realizing that canning was fun, easy and not at all scary. The summer that I took that class I canned over 125 pounds of produce. 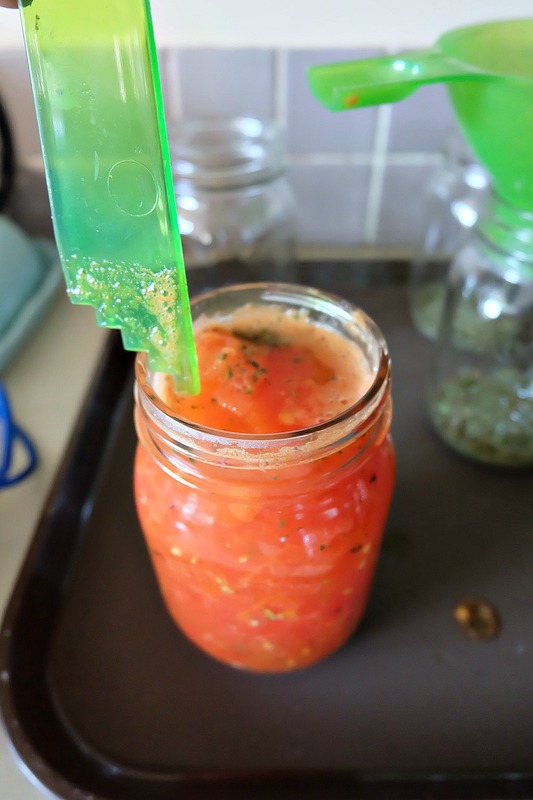 If you’ve always wanted to can but something has held you back– scared of botulism (myth if you are canning veggies or fruits), intimidated, think it’s expensive to get started, etc, then you will want to check out my Canning 101 post. 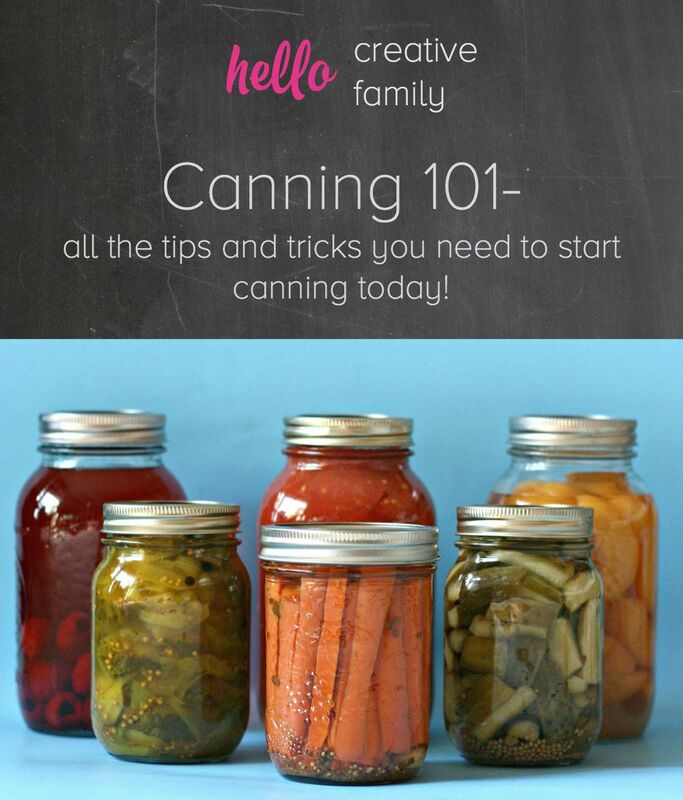 It’s going to give you all of the tips and tricks to get started canning today. Then you’re going to want to head right back here because I’m sharing tips for how you can get your whole family involved with canning! 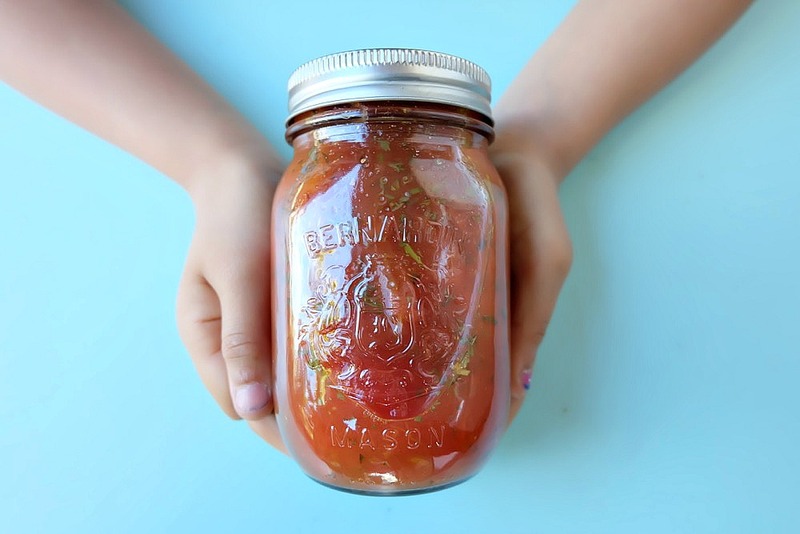 Yep, we’re talking about canning with kids! 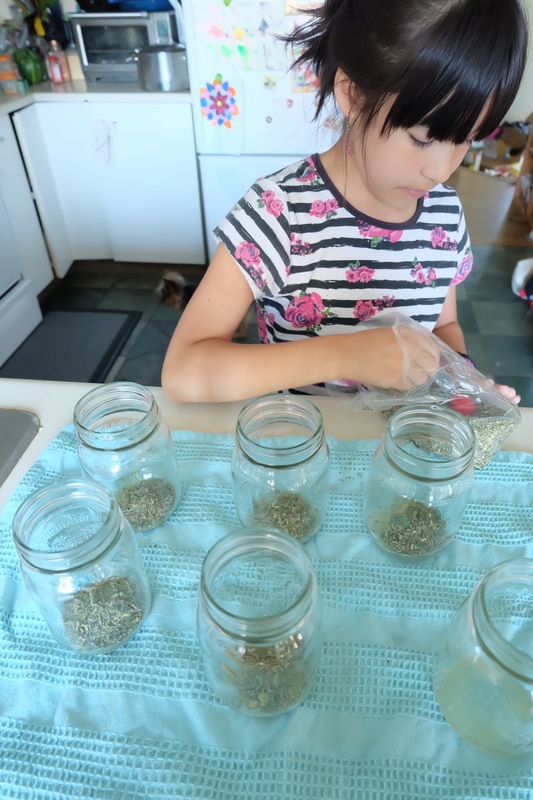 I’m sharing some tips to get your kids canning with you this summer. 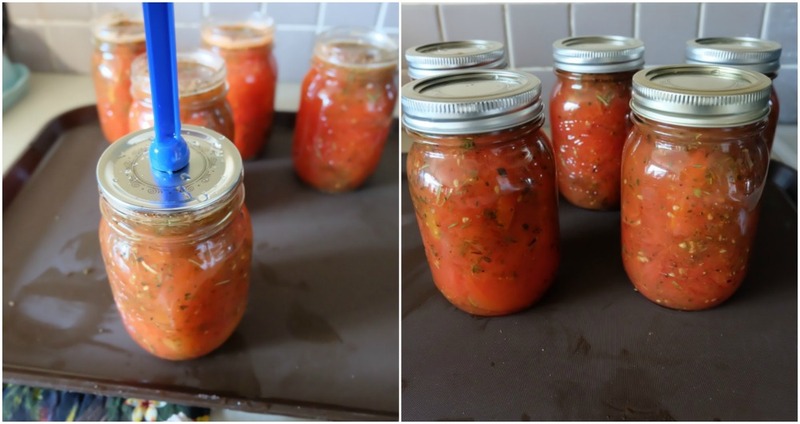 I’m also going to share with you my favorite Easy Italian Herb Canned Tomatoes Recipe! Always Follow Trusted Recipes and Be Prepared- You want to make sure that your canning experience is a successful one. It would be awful to get your child excited about canning only to have it not turn out right. Canning companies, like Bernardin, spend countless hours testing their recipes to make sure that the results are perfect every time. Their website has a ton of delicious recipes that can be canned all year. Read the recipe all the way through several times ahead of time to make sure that you will have everything you need when canning day comes around. Find Bernardin Canning Recipes here. Pick a Food Your Kids Love and Will Be Excited to Make and Try- We live in BC and my kids love munching on Okanagan peaches all summer long. At the peak of peach season we love to buy a big bushel of peaches and can them to eat all winter long. Because my kids love eating them, they are happy to help with the canning process. Find a fruit or veggie that your kids love and start with that. Pickles, tomatoes, strawberry jam and apple sauce are some of my kids’ other favorite things to can and eat! Find my Easy Peasy Canned Peaches recipe here. Start Canning in Small Batches- There is a temptation to buy produce in bulk and spend a whole weekend canning it. 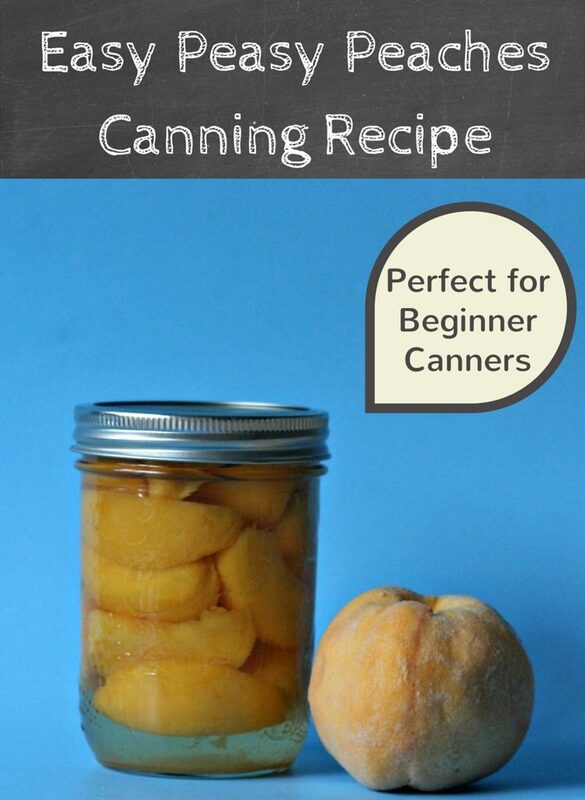 Once your kids are seasoned canners, go for it, but to start out I would suggest doing smaller batches. 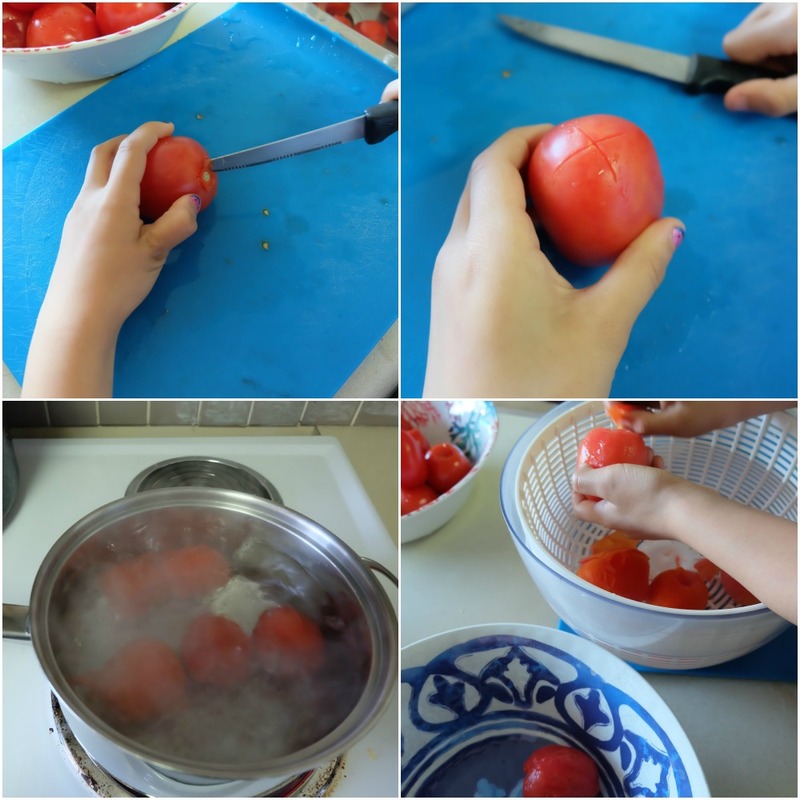 The recipe I share below is a great recipe to start with that can easily be scaled up and down depending on how many tomatoes you have and how much time you have to can. Find Age Appropriate Tasks for Your Kids- Get your kids helping out with canning from an early age. At 5 years old, this is Turtle’s first year that he was actively involved in the kitchen on canning day. I gave him the job of peeling the skins off the tomatoes after they came out of the ice bath. 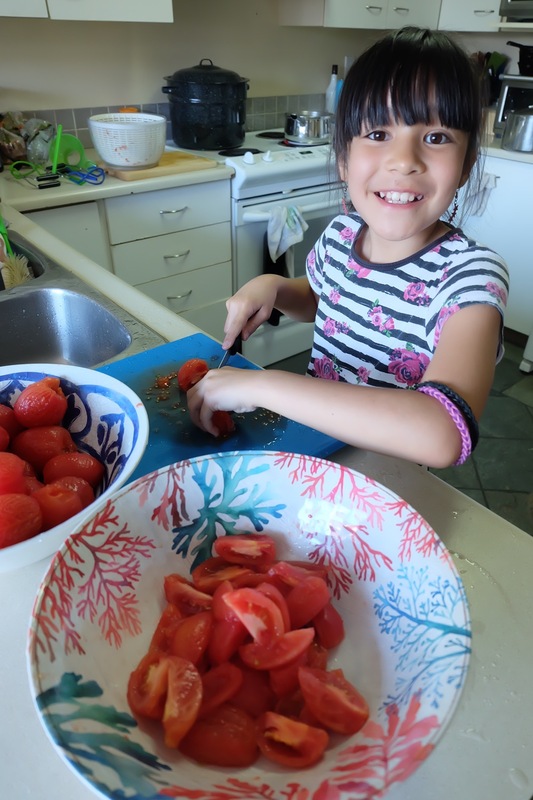 When Bean first started canning with me she was in charge of washing the tomatoes and scoring them with an X on the bottom. Even if it’s a job that you could easily do yourself, get your little ones involved doing it. Each time they can their involvement will grow and before you know it they’ll be canning on their own! 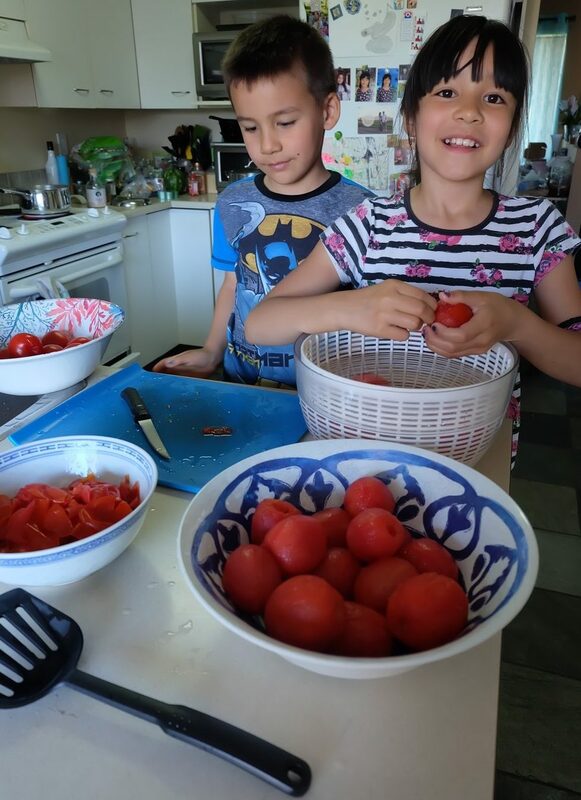 Have Realistic Expectations- If you are canning 100 pounds of tomatoes, it might not be realistic that your 6 year old is going to stay with you in the kitchen the entire time it takes you to can all of them. Give them a task and have a realistic expectation that they might not complete it start to finish. Let little ones take breaks when they want/need to and invite them back into the kitchen when you start a new task that might get them re-engaged. Keep it light and fun so that they look forward to canning instead of seeing it as a chore. Get Them Involved In The Choice Of What You Are Making- Browse the recipe section of Bernardin with your child and let them help choose what they would like to make. Experiment in small batches to figure out what each member of your family loves the most. Take them with you to the farmer’s stand to pick your produce, or to a U-Pick field where they can help with harvesting the produce! 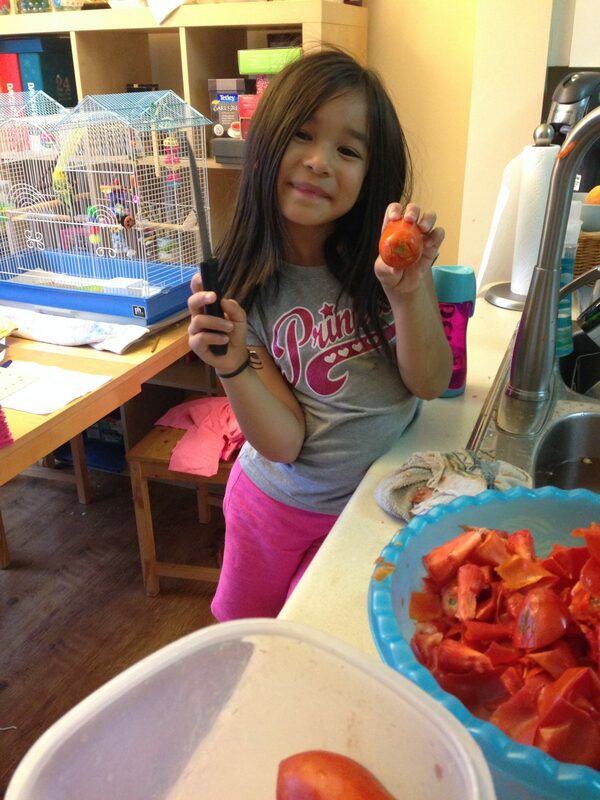 Canning is a great opportunity to teach children about the idea of farm to table. Plant fruit and veggies in your own backyard or in containers on your patio that can be canned later in the summer! Have a Canning Party- Canning can be so much fun, you want to make sure that it never feels like a chore for your kids. Put on music, set out food and drinks in advance so that if anyone gets hungry or thirsty you don’t have to stop everything to make food, maybe even invite over a few friends who have been wanting to learn to can. Get all hands on deck and make canning a celebration. Celebrate What Your Child Has Helped Can- My kids get so much enjoyment from telling friends and family that they helped to make something. When you pop open a can of something that your child helped to can, remind them that they were involved in making what you are eating and celebrate that success. Can extra jars of favorites and label them with “Made By ‘Your Child’s Name'” so that your child can give them to friends, neighbors, teachers and family as handmade gifts throughout the year. 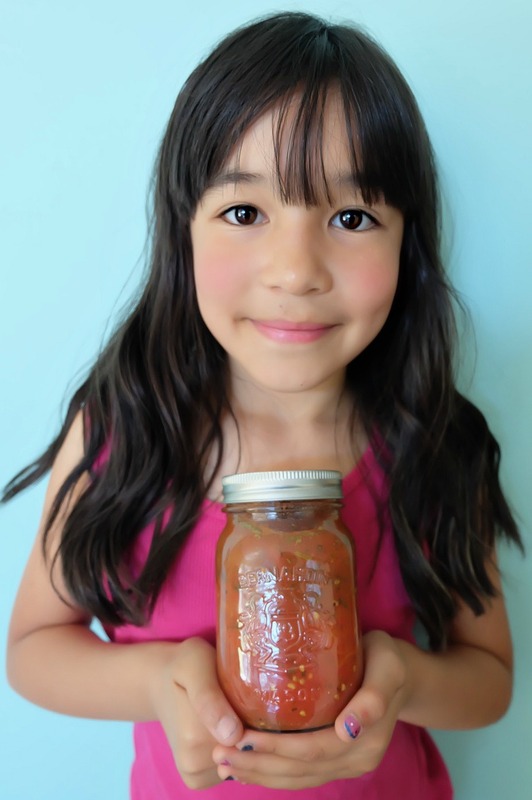 While the art of canning is having a resurgence is definitely isn’t something that everyone knows how to do, and is something that your child should feel very proud of sharing with others. Every time I do canning with my family, I think about the food preservation class I took with the teacher from Bernardin and how lucky I feel that she passed that wisdom along to me. I’m so happy to now be passing that knowledge along to my kids, and to some of you! 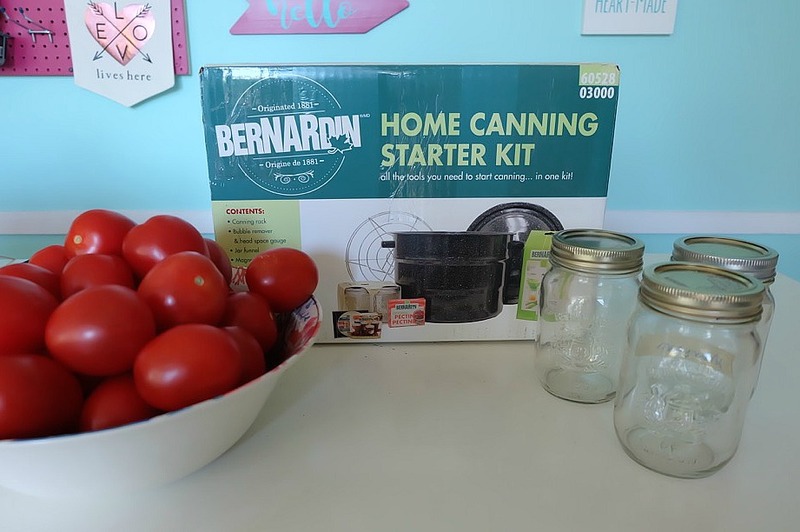 A Bernardin Home Canning Starter Kit is a great, low cost investment that will get you started canning and will last you forever. It comes with a Canning Pot, Canning Rack, Jar Funnel, Bubble Remover/Head Space Gauge, Magnetic Lid Lifter, Jar Lifter, Pectin, 4- 250ml jars, and a Home Canning DVD. 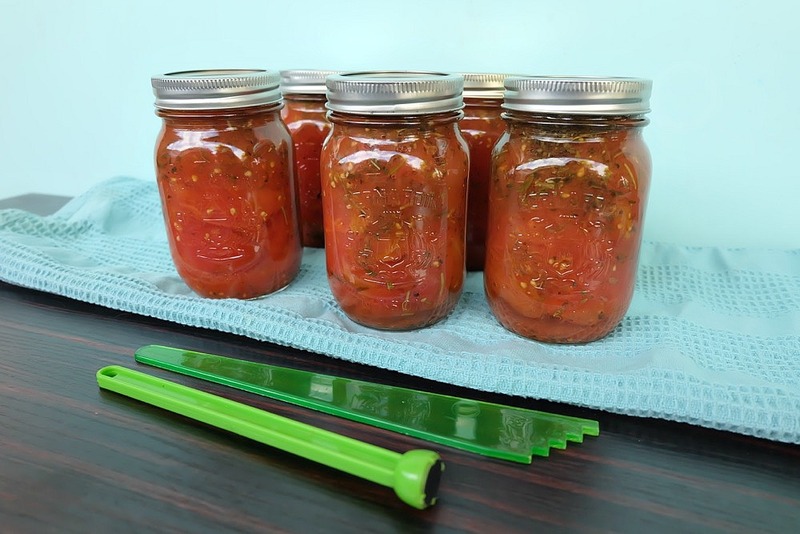 It’s a great value and sets you up with all the essentials that you need for canning that you’ll be able to reuse year after year. Bernardin canning jars are also great quality and will last you for years. When I first started canning I bought the cheapest jars I could find. Several of my jars cracked as soon as they touched the boiling water for the first time, emptying the contents into the pot of boiling water. It was heartbreaking to see our hard work go down the drain. After that day I invested in Bernardin mason jars and haven’t had a single jar break in the canner. Jars can be reused year after year as long as they stay free of cracks and chips, you just need to use new sealing disks after you’ve used them once. Ready to get canning! 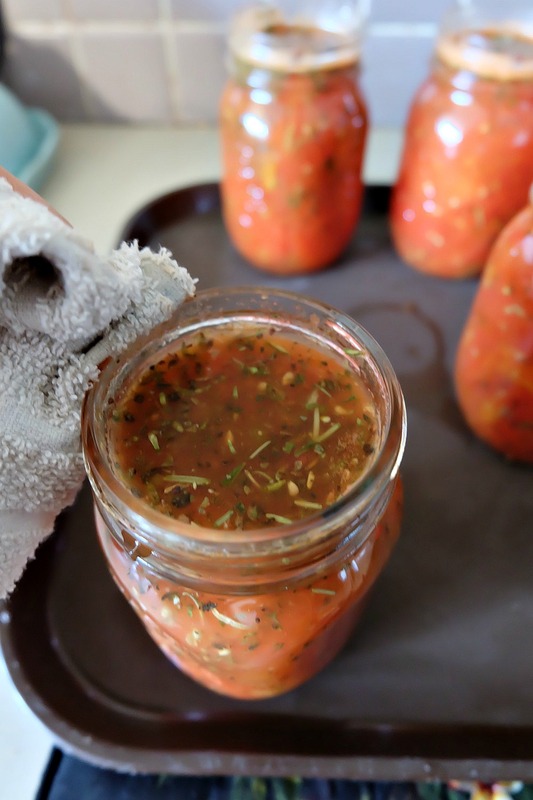 Read on for my favorite Easy Italian Herb Canned Tomatoes Recipe! Optional but highly recommended: Jar Funnel, Bubble Remover/Head Space Gauge, Magnetic Lid Lifter, Jar Lifter. All of these supplies can be found in the Bernardin Home Canning Kit. I also like to use a plastic tray for when I’m filling my jars. Recipe Note: Remember when I told you that you should always use a recipe from a source that you trust? This recipe is based on a recipe that was recommended to me during the Bernardin class that I took 4 years ago and I’ve been using it ever since. It has become a family favorite. You can find the original Bernardin recipe here. Step 1: Fill your canning pot with water and bring to a boil over hight heat. Clean your jars thoroughly either in your dishwasher or by placing in your canning pot full of boiling water for several minutes. Make sure to inspect each jar to make sure there are no cracks or chips in your jars that could lead to the jars breaking when lowered into the hot water. Step 2: Wash your tomatoes. Core the tomatoes and score an X into the skin on the opposite side of the tomato from the stem. Blanch in a pot of boiling water for 60 seconds then remove the tomatoes with a slotted spoon and put into an ice bath. This will start to lift the skins from the tomatoes so they can easily be removed. Remove all of the peels from the tomatoes. Step 3: Cut the tomatoes into quarters. Step 4: Put tomatoes into a large saucepan over medium heat. Add 1 cup of water, cover and bring to a gentle boil for 5 minutes. Step 5: Put 2 teaspoons of Italian seasoning spice blend and 1 teaspoon of lemon juice into each of your clean jars. 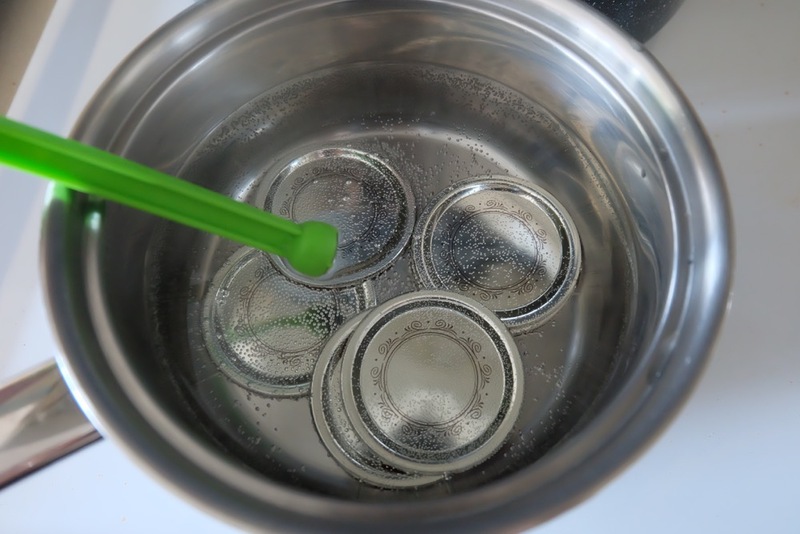 Step 6: Heat Snap Lid sealing disks in hot water. Wipe the rim of the jar making sure it’s clean and a good seal can be achieved. 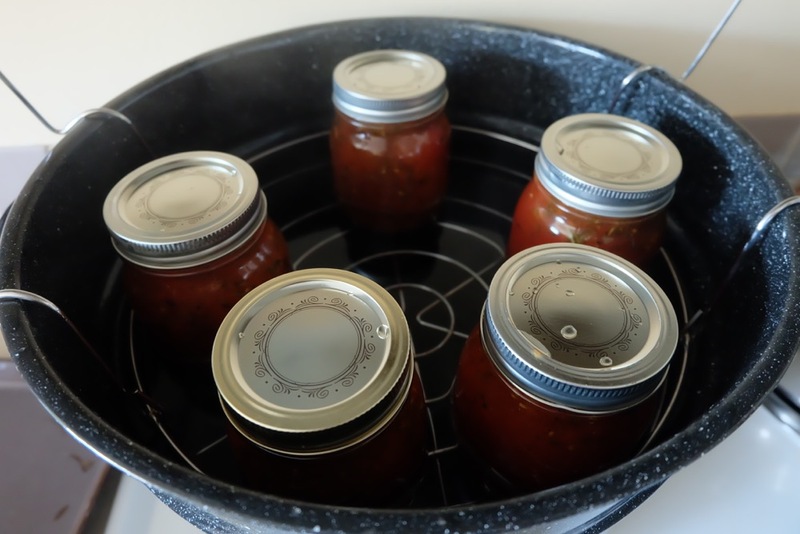 Place a hot Snap Lid sealing disk, centered, on top of the jar. Screw band down until resistance is met, then increase to fingertip tight. Step 7: Load jars onto your canning rack and lower into the boiling water in your canning pot. Make sure that the jars are covered by at least 1 inch of water. Cover canning pot with lid and wait for the water to return to a full boil. Once water is boiling leave cans in boiling water for 40 minutes. Step 8: Remove jars from canner and leave placed upright, undisturbed for 24 hours. Wait for the canners favorite sound, the pop, pop, pop of your cans sealing! After 24 hours check your jar seals. Sealed lids curve downwards and do not move when pressed. If any of your jars happen to not seal, don’t worry. Put the jars in your fridge and use over the next week. Viola! Your Italian Herb Canned Tomatoes are complete! Store in a dark cool place and enjoy all winter long! Love this recipe? Check out Bernardin’s Spicy Tomato Salsa for another one of my family’s favorite canned tomatoes recipes! Tell me… Have you ever canned before? Where or who did you learn to can from? What is the first thing you would like to can this summer? Disclosure: Thank you to YMC and Bernardin for working with us on this post. As with every article on Hello Creative Family all thoughts and opinions are 100% our own. so helpful! thank you for all of the tips! Can’t wait to try this!! I love this! 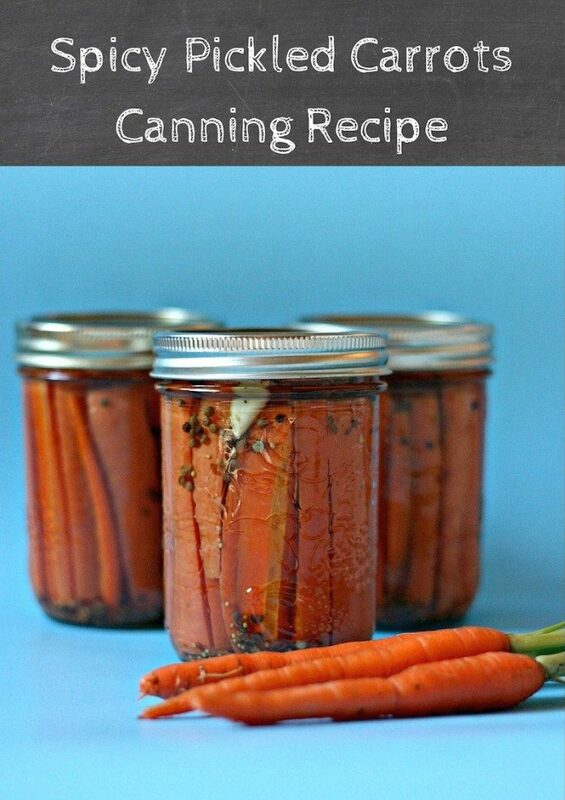 I can’t wait to try this recipe this summer and I really need the canning basics kit. Will look for one when I’m out shopping. My parents used to can stuff all the time when I was little and my mom still does spaghetti sauce and salsa. What fun way to spend time with your kids! Thanks for sharing at Merry Monday. Hope to see you at the party next week! Crystal these are really great tips that are good not only for the kids but for us adults as well. Your post is my feature this week at Sweet Inspiration Link Party! Congrats. I want to start canning — these tips are so helpful!